Spirituality is not religion. In spirituality there is no God. Spirituality is about ‘knowing’ what’s going on and accepting it, without resistance. There is only an awakening that results in a sustained awareness. There is no blame possible in spirituality__neither on oneself nor on another. In fact, there’s none to take the blame. Spirituality is like a mirror: you look into it, you find yourself. Spirituality is about oneness. The oneness that is visible all around us, of which we are a part. If we care to L.I.S.T.E.N. Interestingly, for that we need to be S.I.L.E.N.T. Both words are made up of the same alphabets. When we listen to creation, while being silent, practicing mouna, we will see, feel and experience the oneness. In that experience, you become awake and aware. Legend has it that Adi Shankara, the revered Indian Saint, on his way to the Kasi Viswanath temple in Benares, came upon an ‘untouchable’ (given that Shankara was born in a Namboodiri Brahmin family, he was deemed higher in the social echelon) hunter accompanied by four dogs on the banks of the Ganges. Overzealous disciples of Shankara tried to influence the hunter to make way for the ‘superior’ Saint. The hunter responded with a query that ‘awakened’ Shankara to the truth of our (human) existence: “Do you wish that I move my everlasting ‘atman’ (the Self, the Soul) or this body made of flesh?” While the legend further talks of an ancillary outcome of Shankara composing five of his famous shlokas known as ‘Manisha Panchakam’ based on this experience with the hunter, the bigger take-away for Shankara must have been__or to any of us reading this story__that all Life is equal. Spirituality is simply the flowering of this awareness from within. Spirituality is at end of the finish line of the seeking race. When you reach that line, you begin a new journey, of living. Up until that moment, you were just there. Now, you are alive, awake and aware. A lot of our suffering comes from our desire to be understood by others. 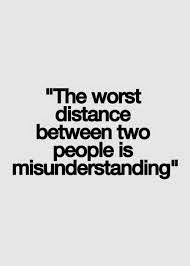 It is normal for communication to be misunderstood and misinterpreted by others at times. Just as a spelling mistake is possible in a simple word, so is a misunderstanding possible in relationships. And all of it is caused by how someone wants to interpret what is being said or imagine that something else, than what is being said, is being implied! In a situation when there is repeated breakdown of communication, or even aggravated, angry, violent expressions of communication, it is best to remain quiet. And, more importantly, it is best to give up the need to be understood. 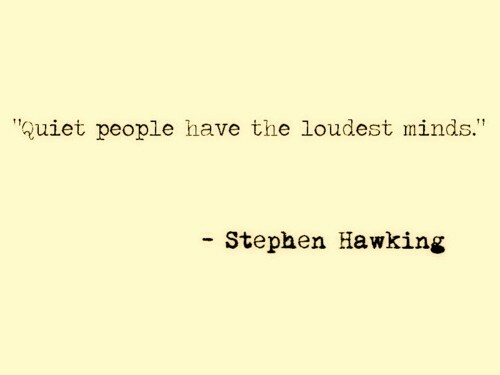 This may also require remaining quiet for long periods of time. Maybe even for years at a stretch. This is true in all contexts__with parents, children, spouses, siblings, extended families, friends, neighbors, workplace teams and such. Time and the truth alone can heal such situations. On the other hand, when you try to force an understanding and try to get people to see you the way you want to be seen, you will undoubtedly suffer. But you have a choice not to suffer in the throes of the pain that such misunderstandings can cause. Just stop feeling pity for yourself, stop demanding that you are understood, and your suffering will cease. The pain may still be there, and so will the factors causing the pain, but you will not suffer. Accept that this strained situation is the current reality that you have to live with. Give the situation love by practising forgiveness – forgive yourself and the others involved too. Who started it first is immaterial, just accept being a co-creator of the situation and forgive everyone. Slowly, surely, you will find yourself becoming peaceful. When one person is at peace, the entire circle of influence of that person, even if people are estranged, benefits from the peace. Be a peace champion. Begin with yourself. Is silence a virtue or is it a sign of weakness? The latest target of media and public opinion for remaining silent is India’s charismatic cricket team captain, M.S.Dhoni. This morning’s papers liken him to Indian Prime Minister Dr.Manmohan Singh (the Indian media and wags, by the way, have nicknamed PM Singh, ‘Moun’mohan – ‘mouna’ meaning ‘silent’ in Sanskrit!) and brand him a weakling who has allowed himself to be gagged by the BCCI (Board of Control for Cricket in India) in the wake of the IPL (Indian Premier League) spot-fixing scandal. The normal human tendency is to rush to speak, be heard, clarify, demand attention or defend – as the situation or context may warrant. So, when people choose to remain silent, either not making use of an opportunity to speak up or not responding to a provocation, the popular inference is that the person choosing silence is weak or has something to hide. Well, to be sure, it may mean neither. A perspective worth considering is, perhaps, the person has nothing to say or believes that being silent is an answer or sufficient response in itself or recognizes the futility in speaking at that point in time. I have learned the value of remaining silent, over retorting, defending, clarifying or expressing, through experience. There was a time when I would rush to offer my point of view – either in defense or to justify – in all contexts. I used to imagine then that if something had to be said, it had better be expressed then and there, loud and clear. Over time though, I have learned to believe otherwise. In fact, I now revere, and am inspired by my own father’s ability to choose silence as a response each time that he could have spoken. I remember, with a huge sense of shame, once, many years ago, when there was a raging issue in the family, my demanding to know from my dad whether he was spineless. My demand was uncouth, violent and unbecoming of a son. We sat in a hotel lobby (because we could not speak in private at his home) when I asked him the hugely provocative and embarrassing question: “Why are you not speaking up for what is right dad? Are you spineless?” My dad, much to my shock, and infuriating me no end, responded with a blank look on his face. He simply, yet again, said nothing, choosing to be silent. I came back from that meeting with my father disillusioned and angry. But today, perhaps wiser from learning from Life, I completely agree with my dad’s choice. I don’t think there could have been or can be a better response to situations that we are faced with as a family. And it is not just with my family or with a specific situation. In several situations in Life, remaining silent is perhaps the best response. We may do some things. And we may not do several others. Whatever be the course our lives take, based on decisions and choices we make, people will have opinions. They may cast aspersions on you. They may demand explanations. Or simply provoke you wantonly. Wherever you see no value being added with your expressing yourself, and of course when you think your speaking (up) will only confound the situation, it is best to remain silent. No matter what people say, remember, at the end of the day you have a job to do, a Life to live. 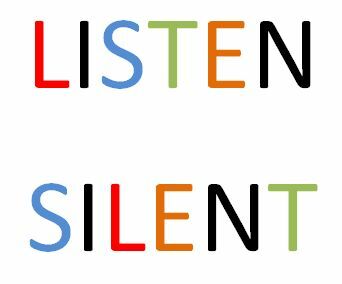 And if you can avoid potential, wasteful conflicts by choosing to be silent, why not go about your Life and business silently? Of course, sometimes speaking up becomes a necessity, not an option. And in all such cases, a conflict normally becomes unavoidable. But such conflict is constructive and never destructive. How then do you decide when to speak up and when to be silent? A good rule of thumb is to make the choice of remaining silent not so much to avoid conflict__but so that you don’t end up creating one! Silence is a great force. Because silence always speaks when words can’t or when words fail! Being silent is an art that is worth learning, exploring and practicing. It will ultimately lead you to a great, unimpeachable inner peace.